Hi friends. These are pretty extraordinary times, and regardless of where you fall on the political continuum, we can all lament the division, fear, volatility, and mistrust. Last Sunday, as we prepared to gather two days after the inauguration of President Donald Trump, we decided to offer three prayers for our new president: (1) A priestly prayer, (2) A prophetic prayer, and (3) the Lord’s Prayer. It was a tender, uncomfortable, and beautifully holy moment. Many thanks to Fr Michael Sparough, SJ and Claudia Heinrich for leading us. May we become instruments of God’s peace and justice. We have a priestly role to play (praying and working for the blessing and flourishing of our leaders and world), and we have a prophetic role to play (speaking and embodying truth to power). It has to be both, not either. May we kneel and march. Submit and protest. Believe the best and courageously confront reality. May we be priests and prophets in the Way of Jesus, for the sake of the world. What It Is: A safe, secure space for kids whose parents are at the Practice to play, do homework, etc. Kids will be cared for by the same Protection-cleared, background-checked people who work with Willow Creek ministries like MOPS, Care4Kids, and FPU. What It’s Not: A worship experience for kids or a “children’s ministry”. For now we want to focus on keeping kids safe and cared for while their parents are worshipping. Who: Kids from birth to 5th grade (birth-3 years in one room, kids 4 years-5th grade in another). Where: In the Promiseland space at the base of Willow’s main “waterfall” staircase. Older kids will be in the Blue Sky 1 room, and younger kids will be in Promiseland’s Infant/Toddler space. When: Check-in will open at 5:30, and kids will need to be picked up by 8:00. Do come a little early to make sure you have time to get back to the Chapel by 6:00! What Do I Need to Do: If you have questions, or are interested in using The Practice Kids send Curtis an email at Curtis.miller@willowcreek.org so we can have an accurate count of how many kids to expect. There’s the “Christmas Cheer” narrative, where December is a month to be happy, joyful, celebratory, going from party to party and giving and receiving gifts amidst calls of “Merry Christmas”. There’s the “At My Wits End” stress narrative, where the month is one unbroken string of adding social engagements, harried shopping, hosting extended family, and house decorating on top of schedule that was already crammed full in November without all the extra responsibilities. There’s the “It’s All Fake” narrative, where the merry making just papers over the depression and dysfunction and pain that’s right under the surface. I think of any number of Christmas movies depicting the family dysfunction at the heart of some Christmas “celebrations” or It’s a Wonderful Life’s George Bailey before Clarence the angel intervenes. And, of course, there’s the “Reason for the Season” narrative, where Advent is a time to push all distractions aside to bask in the reality of Immanuel, God with us. Peace on earth and all the holy accompaniments. While there are certainly those who love everything about the run-up to Christmas, who connect deeply with the first or last of the above narratives, many of us find Advent more complicated, disorienting, stressful, even sad than we feel like it “should be”. We ought to be joyful; we ought to push away distractions; we ought to focus on Jesus, and love, and peace, and all that holy stuff, right? But then real life returns, and we think of the obligations we have to fulfill, the person who isn’t going to be sitting around the Christmas tree this year, the to-do list that doesn’t go away, the pain that keeps nipping at our stockings. What are we to do with Advent? Which narrative is true? What if the answer was all of the above? What if the distractions and holiness and pain and joy and stress and peace were all supposed to be wrapped up into one narrative, instead of us having to choose? What if God intended Advent to be a part of our real, complicated lives each year, instead of a fake imitation? What if the rough edges of our Decembers weren’t things to be sanded away? We hope you’ll join us this Advent on December 4th and 11th as we explore how we can celebrate Advent authentically and deeply while still in the midst of the real world. After all, Christmas is the story of the joyful birth of our Savior…in the midst of donkey and sheep manure. What a gift we received last night from Stu G. We began the evening opening ourselves to God’s kingdom work within us as we reflected on Jesus’ teaching in Matthew 6. We then jumped right in as Aaron and Stu led us through the fifth Beatitude, “Blessed are the merciful, for they will be shown mercy.” We heard stories of women who have walked in this Beatitude and Stu shared two incredible songs (one featured the amazing singing of our very own Rhianna). I am still thinking about Stu’s definition of mercy, “showing compassion or forgiveness toward someone we are in the position to harm.” How have I been wounded by the lack of mercy, and where have I refused to extend mercy? This led us into the practice for the evening. Aaron walked us through a four-part prayer of mercy, the first of our kingdom practices this week (below). With mercy in our hearts, we came to the table, the ultimate expression of giving and receiving mercy. We closed the evening with Stu leading us one more time in song. Halfway through singing Majesty, I stopped singing. I listened to your voices and was moved to tears as I thought about God’s crazy love. That our God, so great and majestic, would be present with us in that room as we sing together. There is literally no place in the world that I would rather be. Prayers of mercy – As you reflect on mercy this week, who comes to mind as someone who has wounded you? As they come up, practice this prayer. Place your hands open in front of your chest and pour out your heart to God. Imagine you are spilling out the contents of your heart into your hands and offering it to God. Be honest about what bothers you about this person. How you have been hurt by him or her withholding mercy? Keeping your hands in front of you, humbly put yourself in the other’s place. How might he or she be bothered by you? Is there some way you have failed to extend mercy? Now consider with God what needs to change within you to be able to show mercy to this person. What are some specific actions you can take to extend mercy? Finally, explore with God what would need to change within you to be able to receive mercy from this person. He or she may not be ready to extend mercy, but what would you need to do to be ready? Eyes of mercy – Choose to be intentional about seeing the image of God in others this week. C.S. Lewis said “you have never talked to a mere mortal.” How can you recognize the presence of God in everyone you interact with this week in your car, at the store, in the office, and in your home? What would it look like for you to see people with whom you disagree with eyes of mercy? Words of mercy – How can you show mercy and compassion in your speech this week? Make a commitment to avoid all critical speech. Choose to hold your tongue when you are tempted to criticize someone, speak ill of someone behind their back, post a negative comment on social media, and engage in negative self-talk. In the place of critical speech, intentionally speak words of encouragement and affirmation. Extra credit if you speak words of affirmation directly to the people you would normally criticize. I left last night so grateful to be a part of a community that doesn’t just learn about the teaching of Jesus but longs to put his words into practice. After offering our whole selves to God in song and reflecting on Jesus’ words in Matthew 6, Gail and Bill led in a time of praying for our broken world. I found this time of prayer a beautiful lead-in to the time of teaching from Meredith and Curtis. Meredith helped us identify the places we long for healing in our world. Placing our hands on our stomachs each of us said, “I am hungry and thirsty for a world where…” and we held this space of hunger before God. Meredith explained that righteousness is not a characteristic of salvation or the freedom from guilt; righteousness is a relational word. It speaks of relationships that that function as God created them to function. Broken relationships are all around us, but we struggle to do anything. We believe the lie that we cannot make a difference, or as Meredith explained, we think, “I can’t do anything. I am just…” But God is moving. He is working to mend what is broken in our world. As Dr. King said, “The arc of the moral universe is long, but it bends toward justice.” God’s redemptive work in the world is making things right, and his invitation to each of us is to join in his work. Curtis then led us through our practice for the evening. We held one space of injustice, one place we hunger for righteousness, before God and we explored the broken relationships that led to the injustice. After identifying relationships, we looked at how these relationships break down in our own lives. Finally, we asked God to show us tangible ways we can join him in bringing righteousness to those close-to-home relationships this week. This reflection on justice then led us to the table. If the arc of the universe truly bends toward justice, then the table and the sacrificial love it represents is the arc’s center point. Joining Jesus at the table, we now join him in his redemptive work in our four kingdom practices. Holding injustice before God Every day this week, will you join us in holding injustice before God? You may choose to hold the specific injustice you identified before God each day, or perhaps as you see injustice around you, you will hold it before God as you move about your day. Pray for justice, and listen to God. Is he inviting you to join him in any way? I am hungry for a world… so I will… How can we join God in bringing righteousness to the relationships around us in tangible ways this week? This is doing the activities Curtis led us to identify last night. Connect with an organization committed to bringing justice. There are organizations all over Chicagoland making a difference in the areas of our hunger and thirst for righteousness. Spend some time researching these organizations and find a way to join them this week. Join us at 5:15 in B100. We will continue to meet in groups next week to share our experiences with the practices. These groups are a great way to process what God has been doing in you during the week, encourage others, and be supported as we journey together. We would love to have you join us. Last night we were blessed to have Sibyl Towner help us live into the third Beatitude, “Blessed are the meek, for they will inherit the earth.” Given the events of this week and the current political climate, we came with hearts in need of Jesus’ teaching. The false scripts teach us power and competition are the way, but Jesus shows us the kingdom truth that real strength comes in weakness and humility. Our opening liturgy immersed us in the challenging words of Jesus from Matthew 7. How might God be using the speck in someone’s eye to show us the plank in our own? What is God saying to us today in the encouragement to ask, seek, and knock, the truth of good trees bearing good fruit, or the parable of the house on the rock? We humbly lifted this questions and desires to our “Good Good Creator”. Then Sibyl brought the firehose. She spoke about our desire to be loved and led us into a reflection on the ways we seek that love. Do we look to material things? Do we seek approval and affirmation? Do we compare ourselves with others? We believe this ache is something we can remedy by ourselves. Sibyl shared one way she sought to solve this ache in her life and led us to consider how we run on the gerbil wheel of works and achievement. She then invited us into the kingdom reality. Though we compete and compare ourselves to one another in search of value and love, the truth is that we have been the apple of God’s eye all along. Finally, Sibyl invited us into our first practice of the week, intercessory prayer. Intercessory Prayer Is there a person or a group of people that you tend to look at and think you are better than? Is there a person or group of people who make you feel powerless or small? Is there a person or group of people that you would like to bury in a deep, dark hole? Sit with these questions for a moment. Be still and listen to what surfaces for you. Open your hands to indicate that there is room in your heart to hold them before God, for his grace and mercy to reach them. Humility before God As a way of bodily reminding yourself of your place before God, kneel as you pray this week. C.S. Lewis would say what our bodies do affects our souls. So this week, let’s acknowledge with our bodies that we are the created as we pray to our creator. Take steps of humility in relationships. For some of us it can be difficult to humble ourselves to do jobs that we feel are beneath us. These may be chores or jobs around the house or neighborhood that people don’t want to do (e.g. cleaning the toilet or hair in the shower drain, cleaning up litter or dog poop, etc.). For some, asking for help is far more difficult than doing hard jobs. This week, do some of these hard jobs, or if it is harder find a way to ask for help. P.S. Finally, you can read the poems Sibyl recited last night below. Covenant by Margaret Halaska O.S.F. but you might come in and look around. I like it, says God. I’ll take the two. You might decide to give me more some day. I can wait, says God, I like what I see. Last night was a truly human and holy experience of worship, lament, and opening ourselves up to the real presence of Christ. Most Sundays, our liturgy is based on four readings from the Revised Common Lectionary— the shared ordering of scripture texts based on the church calendar. In this way, we align our journey with the wider, global church. 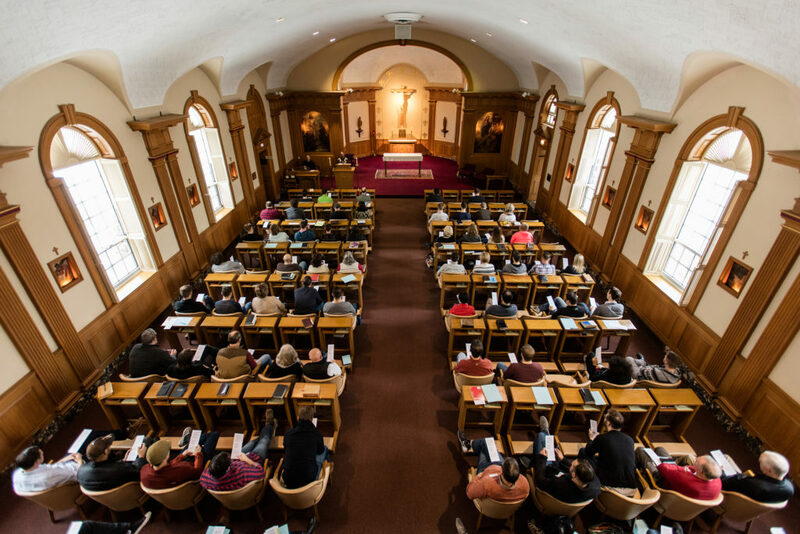 But this fall, as we learn to practice the Beatitudes, we’re taking a break from the lectionary to fully immerse ourselves in Jesus’ Sermon on the Mount. Last night, we moved to Matthew 6 and focused on the abundance of God. 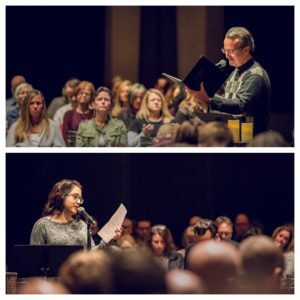 After Tony lead us in “Please Speak” and “Glory to God Forever”–and Erin guided us through the Nine Beats again–we read most of Matthew 6 together and paused to let God speak. May these challenging and comforting words of Christ form our hearts and minds. 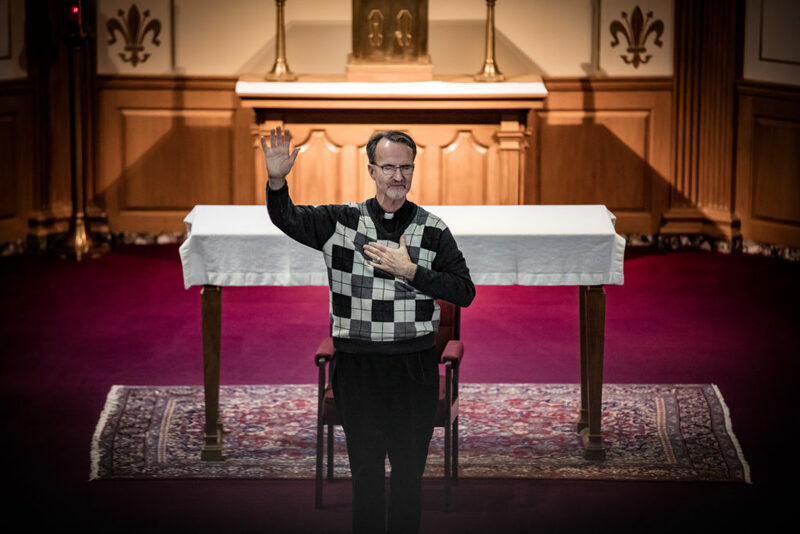 After the opening liturgy, Jason Feffer invited us to cannonball into the deep end of “Blessed are those who mourn, for they will be comforted”. 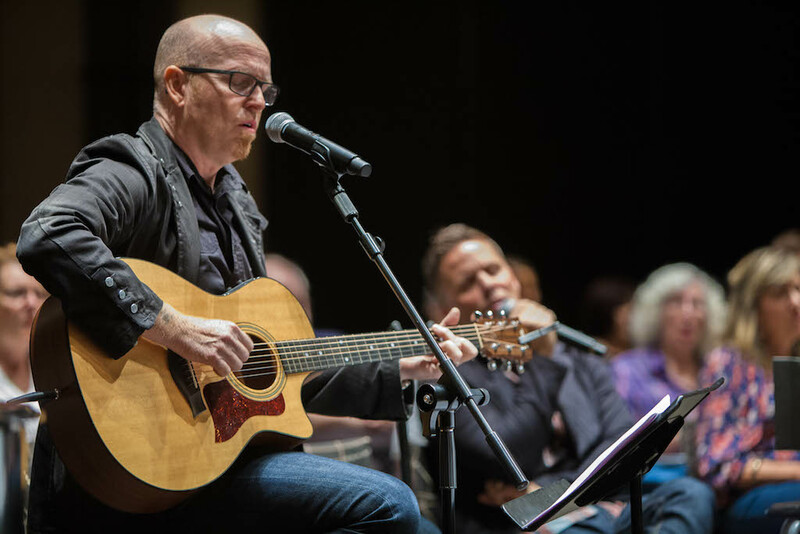 Rather than pushing us from behind, Jason courageously jumped first and shared his personal story of brokenness…masterful running from the pain…finally learning to weep…and beginning to experience the comfort that Christ offers. Friends, please don’t miss this one…. (1) What is the deep ache that this Beatitude addresses? (2) What is the illusion we chase to meet the ache without God? (3) What is the Kingdom vision that Jesus offers instead? 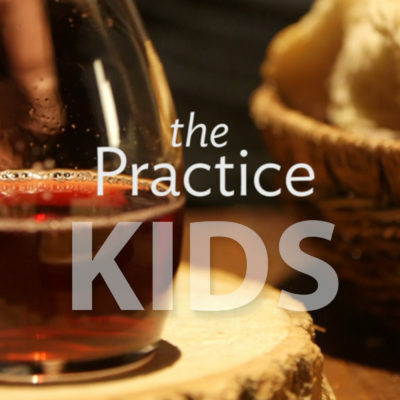 (4) What practices help us bring our ache into Jesus’ Kingdom vision? Jason bravely shared his journey through these four questions. What about you? (1) In what ways has life broken your heart? (family hurt, an injustice in the world, betrayal, sickness, etc) (2) How do you actively avoid feeling the depth of this pain? (busyness, addictions, distraction, etc) (3) What does it mean, in your actual life, that the Spirit of Christ is fully with you in the place of your deepest pain? (4) What is one concrete way to invite God to sit with you in the messy reality of your lament? one.Fast from distractions and lean into Jesus: Abstain from activities you use to distract yourself from pain and sadness and fill that space by leaning into Jesus. You may practice a prayer of imagination, journaling, silence, or anything else that helps you feel the emotions associated to your pain and share them with God. two.Write a lament: Make some time in the next two weeks to write a personal prayer of lament and share it with a trusted friend. If it is helpful, use this pattern Jenna shared with us in February. three.Join a communal lament: Because we know pain is not only personal but extends into the world, find an opportunity to join in a communal lament. We are exploring an opportunity to attend a gathering together Columbus Day weekend. Stay tuned for more details. Many pastors, priests & worship leaders that we’ve been talking to over the last couple years have been dreaming and experimenting with new (old) ways of aligning historic Christian practices with the modern world. These men and women are tired, worn out, and burned out on religion…and exploring new (old) ways forward, with Christ, into unforced rhythms of Grace. 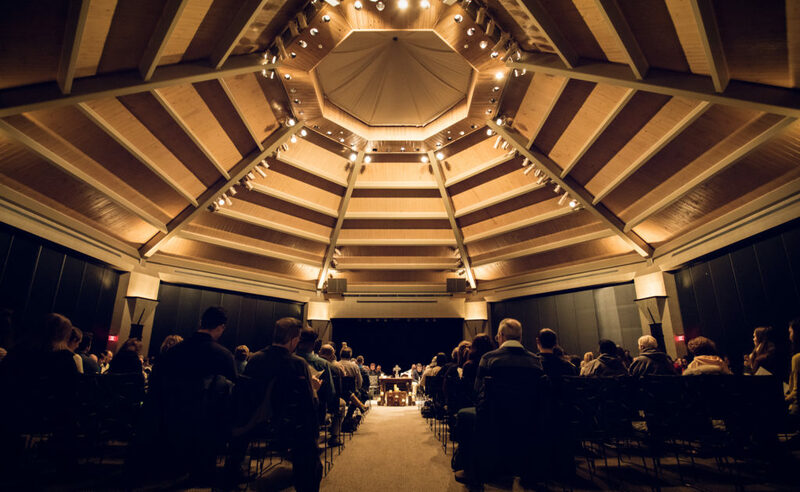 Last January, a group of us came together at Bellarmine Retreat House (Barrington, IL) for shared spiritual practice, connection, and space to learn from each other. It was a deeply moving experience, to say the least, and we’re thrilled to do it again. 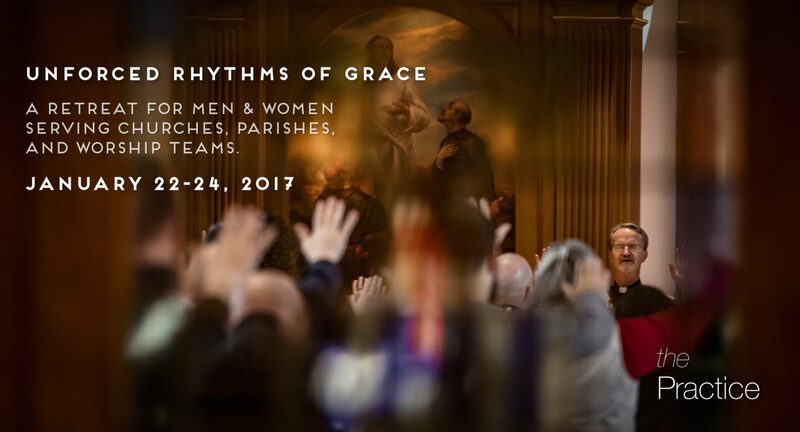 3-5pm – Session: How do we live unforced rhythms of Grace while in ministry? 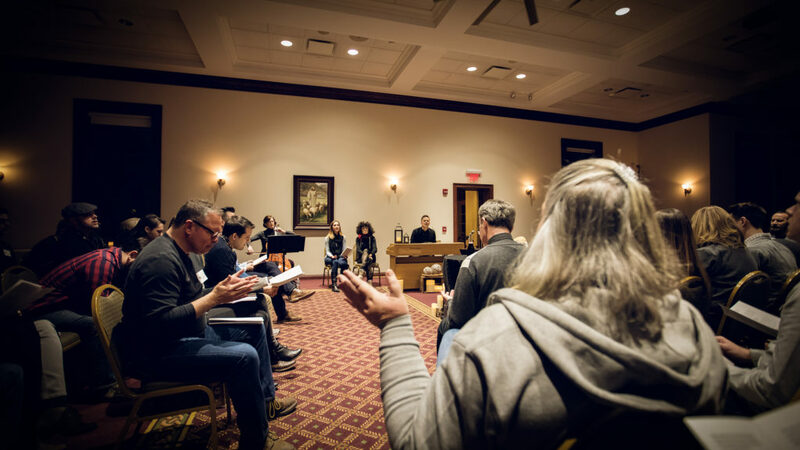 9am-noon – Session: How do we invite our communities into unforced rhythms of Grace? P.S. A few photos from last year…. 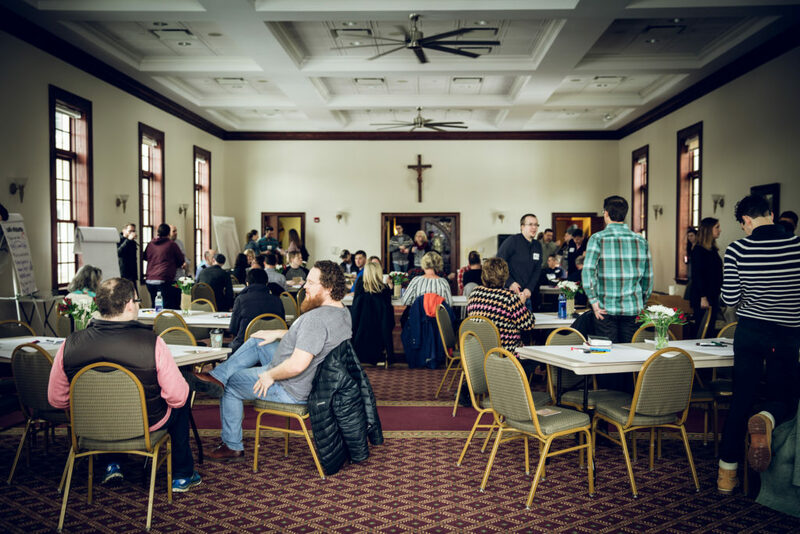 This week began our deep exploration of practicing the Beatitudes with “Blessed are the poor in spirit, for theirs is the kingdom of Heaven.” The liturgy explored our poverty of spirit using Jesus’s teaching in Matthew 5. Jesus invites us to be salt and light in the world to bring glory to our Father in heaven. As we read His challenge to be more righteous than even the most religious people in the world, we cannot help but acknowledge the ways we have fallen short. We are angry and hold grudges. We lust after people and things to satisfy our deepest aches. And yet, we know our God is gracious and compassionate; His love for us is as high as the heavens are above the earth. John and Lori invited us to explore how we might own our poverty using the Rich Young Ruler of Matthew 19 as an example. We live in a world that drives us to want, hoard, and live with a scarcity mindset. We are told we don’t have enough and that we are not enough. As a result we have a deep fear of our poverty. Lori invited us to reflect on what we are holding with clenched fists. What are some of our greatest fears? What things, relationships, or character traits might we be clinging too tightly to in our lives? 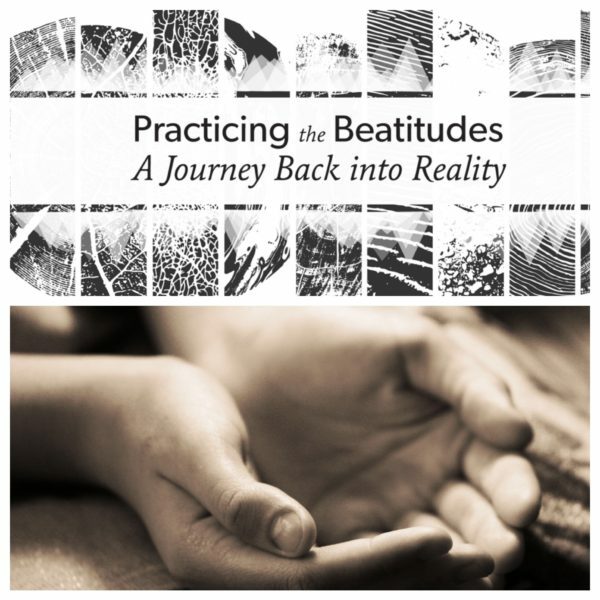 John then shared the kingdom reality of this Beatitude. All is well because we are cared for by an abundant provider in whom we can trust. Jesus whispers this promise to us in even our darkest moments. It is in our poverty, our willingness to surrender and trust in the goodness of God, that His presence and kingdom is found. In response to this abundance, Lori led us through the first Kingdom Practice for the week, a beautiful prayer using three hand postures. Praying with clenched, open, and cupped hands: Will you spend a moment each day praying the prayer Lori led us through Sunday night? Take a step of generosity: Because we are invited to live open handed, will you ask God how He may be leading you to live more generously? What is one step you can take to be more generous with your time, possessions, and/or money? Thanks/Ask: Gratitude is a way we can grow in trust of God’s goodness and abundance, and asking for our simple everyday needs reminds us to live in moment by moment dependence on God. So each day this week write down three things you are grateful for and one simple request from God. Friends, my we lean deeply into our own poverty this week…knowing that the full abundance of God’s love and provision meets us in that holy space!